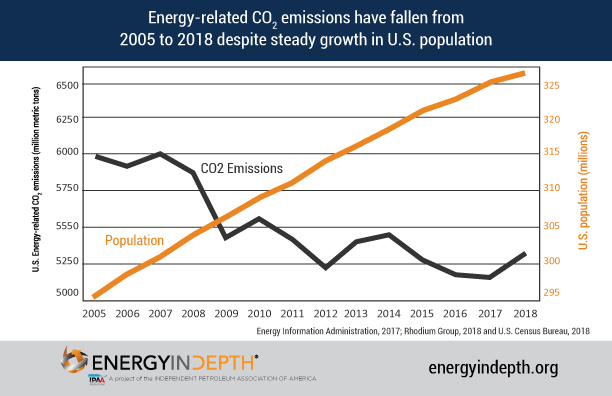 A one-year U.S. emissions spike does not reverse decades of progress. 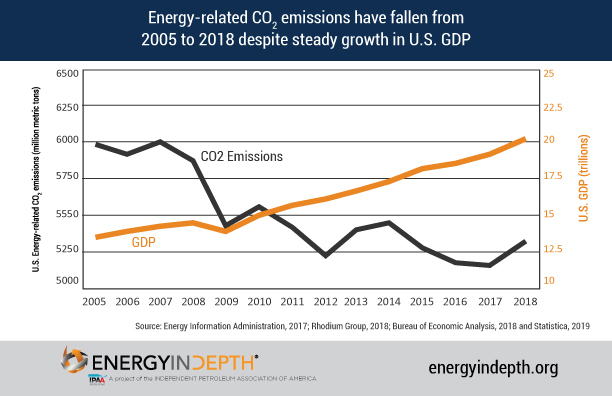 As EID explained previously, this year-over-year increase does not reverse the decades of progress that the United States has made in reducing emissions. 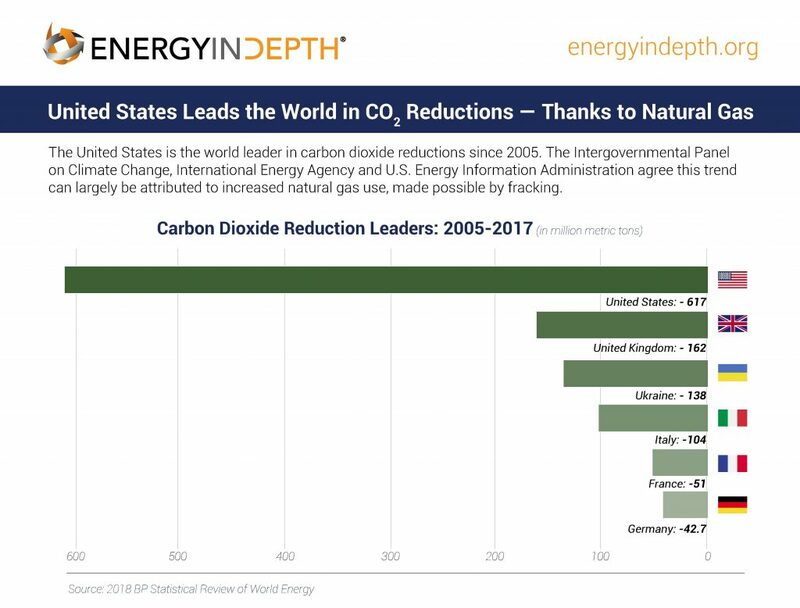 Since 2005, the United States has reduced its emissions 11 percent, while increasing natural gas production by 68 percent. In addition, between 2005 and 2018, U.S. gross domestic product increased nearly 49 percent, while U.S. population grew more than 11 percent. U.S. shale can have a global impact. Natural gas will play an important role in the world’s ability to successfully meet climate targets, as this latest IEA report clearly demonstrates. This is even more evident as year-over-year the world’s energy demand continues to grow. 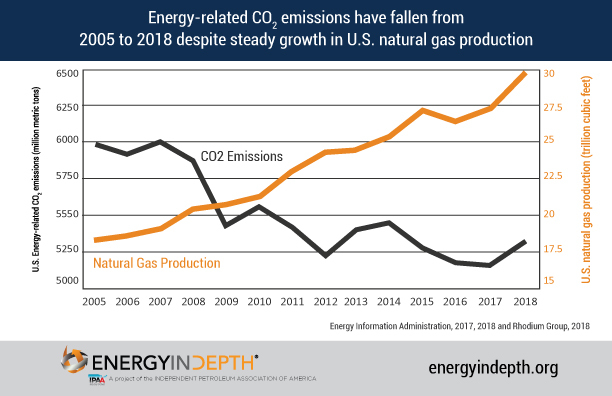 In 2018, natural gas demand grew 4.6 percent – its fastest rate since 2010, according to the IEA report. Fortunately, the United States possesses the technology and capacity to help meet that growing demand. According to Secretary Rick Perry, the United States exports LNG to 31 countries on five continents. The Energy Information Administration expects U.S. export capacity to more than double by the end of the year, helping to provide cleaner energy alternatives to countries across the globe.